There are 4 known species of Griseosphix and all member of the genus are found in oriental area. The most early described species is Griseosphinx preechari, it was described in 1990 based on materials from Thailand. 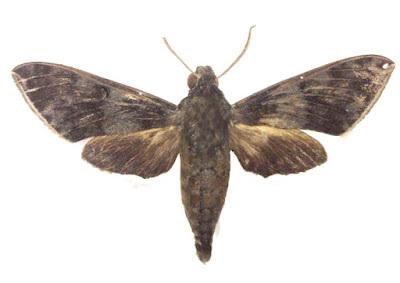 G. marchandi is second species was new for science in the genus and it was described in 1996, Cadiou published G. marchandi based on a single female holotype that collected from Vietnam. Recently the species was recorded by Le Quynh Trang (Vietnam National Museum of Nature) from Cuc Phuong National Park, Ninh Binh Province. The recently recorded time of the species is April, 2016; it was collected in pristine forest in lowland area of Cuc Phuong. It came to the light trap from 6:00 to 9:00 pm.